If you are the owner or an apartment building, duplex, or some other type of rental property, you know that it is important to always have your paperwork in order. 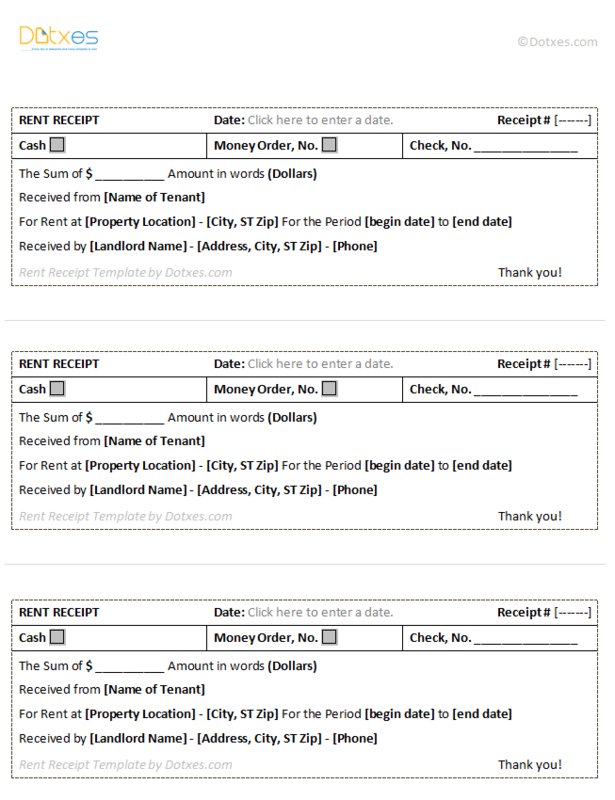 One way that you can do that is by creating a rent receipt template. Through the help of this rent receipt template, anyone can create a rent receipt that is professional and easy to understand. You can customize the receipt to fit your needs, whatever they may be. Always fill in all of the information that you possibly can before you print the receipt. Always create two copies of the receipt – one for you to keep and one for the tenant. Include your own name on the receipt, as well as the name of the one who is paying the rent. Include your contact information on the receipt, so that the tenant knows how to get a hold of you. Customize the receipt to fit your needs, making everything personalized and applicable to you.